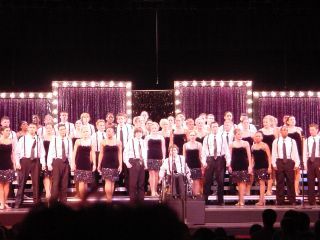 BEN DAVIS "PREMIERS" CONCLUDE SEASON. Jared's string of marathon show choir competition Saturdays ended early Sunday morning as the Premiers finished 2nd at the North Central choral festival. Jared, we are proud of you. We enjoyed the music you and your friends offered. Great job!